Caldecott winning author-illustrator David Wiesner, with "Mr. Wuffles"! In a near wordless masterpiece that could only have been devised by David Wiesner, a cat named Mr. Wuffles doesn't care about toy mice or toy goldfish. He's much more interested in playing with a little spaceship full of actual aliens-but the ship wasn't designed for this kind of rough treatment. Between motion sickness and damaged equipment, the aliens are in deep trouble. David Wiesner is one of the best-loved and most highly acclaimed picture book creators in the world. His books have been translated into more than a dozen languages and have won numerous awards in the United States and abroad. Three of the picture books he both wrote and illustrated became instant classics when they won the prestigious Caldecott Medal: Tuesday in 1992, The Three Pigs in 2002, and Flotsam in 2007, making him only the second person in the award's long history to have won three times. He has also received two Caldecott Honors, for Free Fall and Sector 7. Free Library of Philadelphia - David Wiesner - Mr. Wuffles! David Wiesner is currently considered a "single author." If one or more works are by a distinct, homonymous authors, go ahead and split the author. 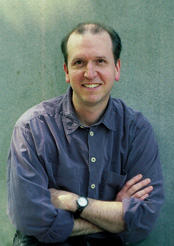 David Wiesner is composed of 6 names. You can examine and separate out names.